Christmas is a season full of happiness and joy especially for children as they enjoy holidays and party together. So if you want to make them feel happier and enjoy their day well, then you should try to involve them in different Christmas activities. For this you can ask them to help you in decorating your home. This will surely make them happy and also know about the importance of Christmas. You can make gifts for your guests, Christmas tree decorations and also make different Christmas centerpiece. This will also make children more creative. Centerpiece is one of the most important and focus point of any party. You should place Christmas centerpiece on the center table and in case if it is big enough then you can place it on the floor. While making Christmas centerpiece you have to keep in mind that it should be elegant, fascinating and simple. 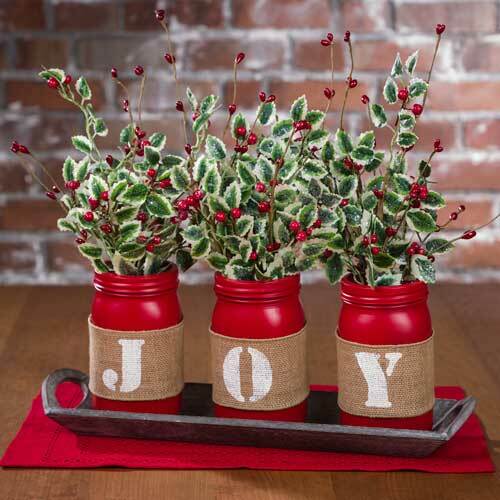 You can use greens, fresh fruits, cranberries or candles as centerpiece for your Christmas party. There are many ways in which you can style or decorate your centerpiece like if you are decorating greens and candles for centerpiece following setting can be perfect. You should take small branches of green and decorative ornaments from Christmas tree and wreath. After that take an oval or round tray and colored candles. You now have to place the tray in center of table and put candles in center of tray. Now you should place the green branches and trimmings on the sides of tray with ornaments and small pine cones. The green will give a beautiful texture when it is pointed towards candles. This is one simple idea. It can also be easily performed by the children. So involve them and make their Christmas holidays a fun and creative activity.